Earlier this month, with the nation, and no doubt some folks around the world watching, Maine conducted the United States’ first statewide election using the ranked-choice voting system. Voters in Maine first approved the use of ranked-choice voting in 2016 for a roll out in 2018 and while there were lawsuits right up to just about the last minute seeking to halt the implementation of the system, voters headed to the polls on June 12 and although the reviews were mixed from voters, overall the rollout was deemed successful. For Maine’s implementation of ranked-choice voting, instead of counting the ballots at that city/county level, all the memory sticks were transported via courier to the capital where they were counted. That transport was part of what led to higher costs for the primary, which cost the state about $360,000 instead of $250,000 on average for a plurality-primary. This was not the first foray into ranked-choice voting in Maine. The city of Portland has used ranked-choice voting in the past and Dunlap said that was helpful to the statewide process, particularly to helping explain to voters so they could easily understand their part in the process. Dunlap said it also gave the state a predictive model to look at, which was helpful. Although the roll-out proved successful, Dunlap said that it was definitely a learning opportunity and will inform their work moving forward. And with voters stopping a referendum to repeal the use of ranked-choice, it will be used again. 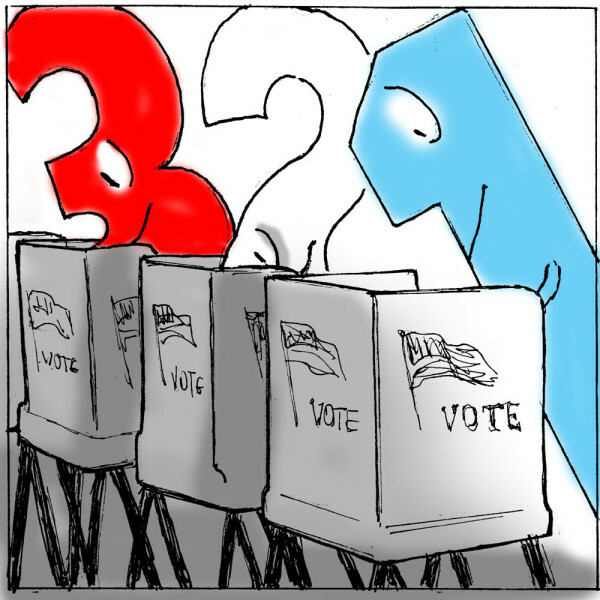 It remains unclear if Maine’s successful rollout will encourage other states to implement ranked-choice voting, but Dunlap has some thoughts for those in the weeds of implementation. Early this year, Santa Fe New Mexico rolled out ranked choice voting for the first time. Voters that we talked to were pleased with the roll out and by-and-large felt that the education campaign around the roll out was satisfactory. It took four rounds to determine a winner, but the results were known by the next day. Richardson voted early in the March municipal election and said that the poll workers working at city hall early voting site were informative and helpful about the new voting system. Richardson noted that the only confusion he heard about was from a friend who wanted to know if there was going to be a runoff election, which he explained there was not, thanks to ranked-choice voting. FairVote’s Rob Richie pointed out that in Santa Fe, which has a large Hispanic population and had little time to implement the new system due to lawsuits, turnout increased by more than 10 percentage points and that 99.9 percent of mayoral voters cast a valid ballot, and 96 percent of those ballots were still counting for a finalist after more than a third of ballots went from one of the three defeated candidates to next choices. Santa Fe resident Matthew Ruybal voted absentee in the March primary and said that while he was aware of ranked choice voting system, he didn’t know too much about it. While the system was easy to use, Ruybal isn’t so sure he’s sold on the concept. “After using the new system, it wasn’t complex, but having to vote for every candidate seems unnecessary, especially for ones I don’t agree with,” Ruybal said. Elections in Las Cruces are conducted by the county, but according to City Clerk Linda Lewis, the city’s public information officer will be working the county on education/outreach to voters. Lewis said that officials have spoken with their counterparts in Santa Fe about implementation. Krahling said the county is are already working with partners who have worked on successfully implementing RCV and are incorporating lessons learned. So what’s next for ranked-choice voting? Will we see more states adopting the voting system or will cities and counties, like Benton, Oregon, continue to take the lead. Richie said that the successful roll out in Maine shows that ranked-choice is not too difficult for voters to understand, an argument that opponents of the voting system often argument. Using the system, 99.7 percent of gubernatorial voters cast a valid ballot. By early 2019, FairVote expects to have four regional coordinators supporting local reformers, with the goal of a stand-alone organization or at least a group of people to connect with in every state. Maine’s experience – which appears to have been successful despite near-constant litigation and a legislature seemingly hellbent on blocking its implementation – could be a signal to other states and communities that ranked choice voting can work there as well, if there is sufficient planning (and budget!) and even a modicum of support from policymakers. Kudos to Maine (and New Mexico) for their work – and thanks as always to electionline’s Mindy Moretti for sharing these stories with the field. Be the first to comment on "electionlineWeekly on Ranked Choice Voting in Maine and New Mexico"